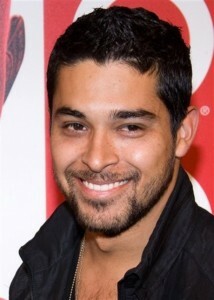 Wilmer Valderrama Cast in the ‘From Dusk Till Dawn’ Series!!! As you should know by now, there is going to be a ‘From Dusk Till Dawn’ TV series that will air on the new Latino themed El Rey network. And yes, Robert Rodriguez is doing it, as he was the director for the original film. Well it seems like now, they have cast Wilmer Valderrama in the show that has a 10 episode order for its first season for right now. The ‘That 70’s Show‘ cast member will play a mysterious crime lord named Carlos, which who knows, might be a vampire or something. I’m a huge fan of ‘From Dusk Till Dawn‘, and can’t wait to see what Rodriguez does with this new tv show. And Fez is in it now. Your thoughts? ‘From Dusk Till Dawn’ Will Now Be A TV Series with Robert Rodriguez’s Help!! Wizard World Will Land In Austin, TX in Two Weeks!!! WWE’s Luke Harper Joins Cast Of Horror Flick!!!! Highlights From Upcoming Record Store Day Releases!!! This entry was posted on Monday, November 25th, 2013 at 2:32 pm	and is filed under Film, News, Television. You can follow any responses to this entry through the RSS 2.0 feed. You can skip to the end and leave a response. Pinging is currently not allowed. « Genre Talk – Car Chases and Crashes!! Horizontal boosters. Alluvial dampers? Ow! That's not it, bring me the Hydrospanner. I don't know how we're going to get out of this one.